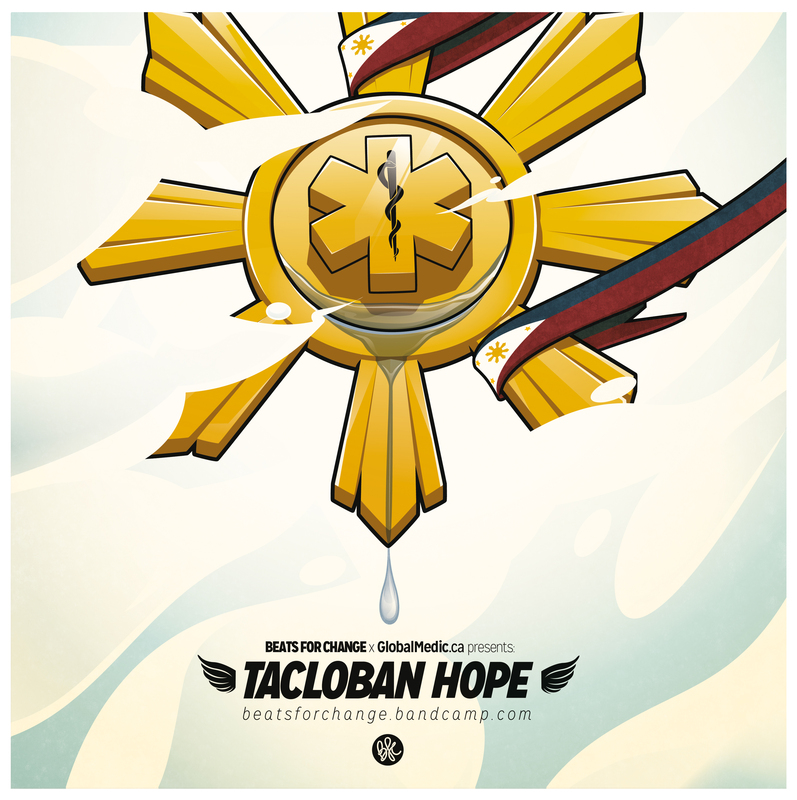 Marvin Bruin Art & Illustration » Beats for Change and GlobalMedic.ca presents: “Tacloban Hope” A fundraiser for The Philippines. Beats for Change and GlobalMedic.ca presents: “Tacloban Hope” A fundraiser for The Philippines. With Tacloban Hope we, from Beats for Change, put our heads together with Global Medic and 22 top notch producers and musicians to produce an album where every cent goes towards Global Medic that is arranging water purification units and tablets in the struck area of The Philippines. We got producers like Moods, Trian Kayhatu, Tall Black Guy, Kenny Keys, Julien Mier and way more ill musicians to cooperate with us. After two weeks we already reached 20.000 plays, got in the top 5 of bandcamp.com and raised a small $1300. We are super proud to have reached this and want to thank everybody that participated and donated!